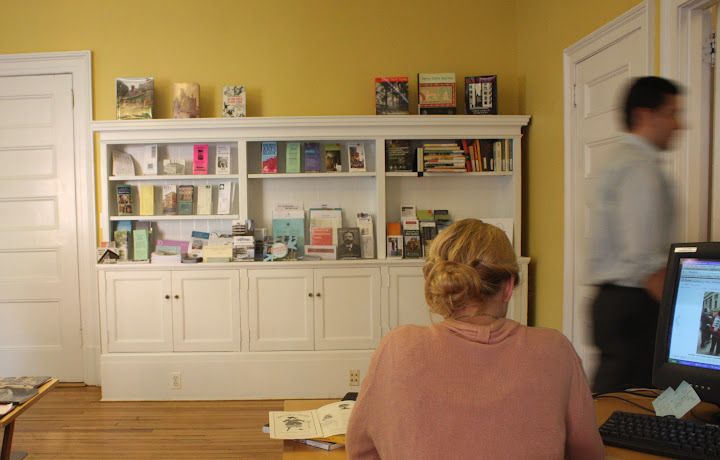 The Neighborhood Preservation Center has a variety of resources for researchers including an on-site library & information center, online databases, and on-site or remote research assistance. The Neighborhood Preservation Center’s non-circulating resource library is open to the public by appointment. Fees apply for photocopies and printing. Computers are also available for research use. The library contains books, videos, reports, and reference works in the subject areas of Adaptive Reuse, Community Planning, Environment, General Architectural History, Historic Preservation, New York City History, New York City Maps and Guides, and Zoning. We have brochures, newsletters, and pamphlets of local, citywide, and nationwide organizations in our reception area. If you would like to stop by and take a look, or if you would like our information center to be a site of distribution for organization's information, contact us to make an appointment. There are three databases available for researching. The Resource Referral Database contains organizations, institutions and individuals that can assist with neighborhood improvement, community revitalization, and historic preservation. The Library Catalog Database indexes our library resources, including NYC Landmarks Designation Reports. The NYC Landmarks Designation Report Database contains printable PDF copies of New York City Landmark Reports. It is a subset of the Library Catalog. If you are having trouble finding what you are looking for, please refer to our Search Tips. If you would like more assistance in finding information about the topics mentioned above, you can send us an email to info@neighborhoodpreservationcenter.org or give us a call 212-228-2781 during our business hours, 9am-6pm Monday through Friday.